In a state as flat as Florida, a couch potato gets climbing exercises by driving interstate entry ramps. But for adventure-seekers there are views and challenges from above. The TreeUmph! 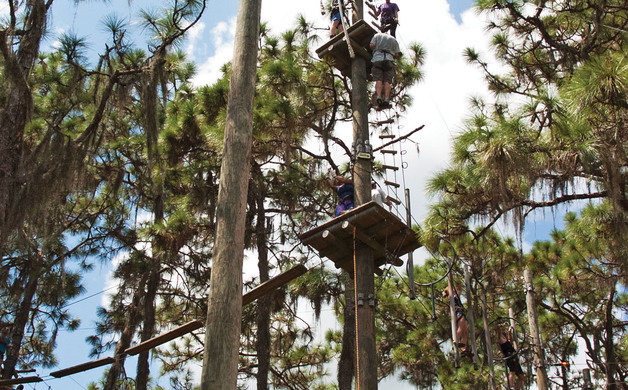 nature course in Bradenton is Southwest Florida’s only elevated park. 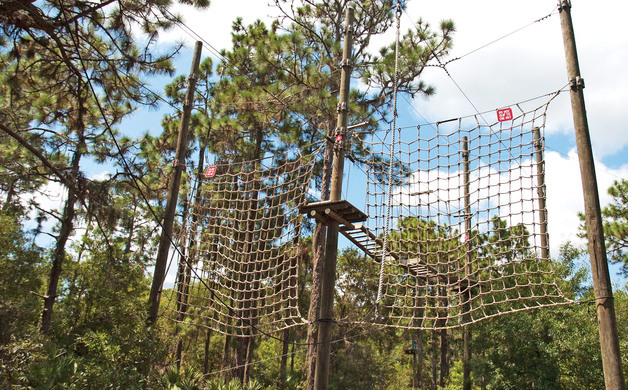 Visitors strapped into a secure harness stand atop a 14-acre rope course in the trees, either zip-lining, walking or climbing obstacles between platforms. It is incredibly fun and exhilarating. TreeUmph! 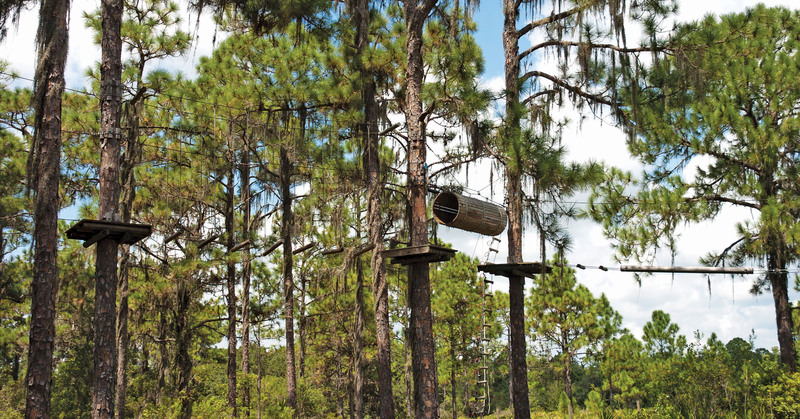 is a series of wobbly bridges, hanging nets, bungee swings, swinging logs and foot bridges. The key to navigating the course is following rules. Visitors watch an instructional video, learn park rules and understand safety procedures before latching to harnesses. Knowing you’re in control is what makes the trip so much fun. TreeUmph! is structured to slowly lead climbers into more challenging heights and levels. Pitsas explains that there are five adult courses. 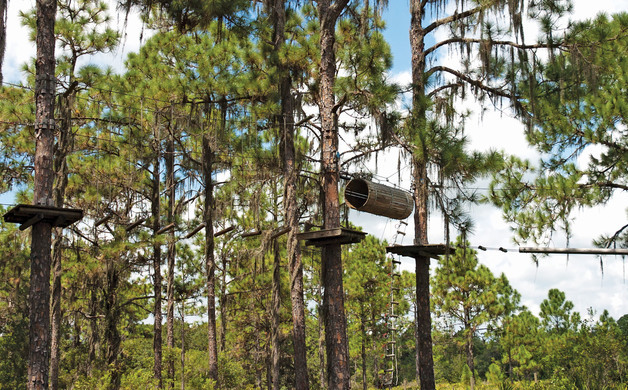 Visitors start at the demonstration course, which is only four feet off the ground. The first course is 15 feet up, rising in 10-foot increments as the courses advance. And if you did the math, by the time you get to the last course, you will be 50 to 60 feet (six stories) in the air balancing on wobbly bridges and telling yourself don’t look down but, of course, you do anyway. As climbers tackle each obstacle, they will have to take their own physical capacity into consideration, especially once they get to the Lead and Summit courses. Steve and Jennifer Hargis have made repeated visits to TreeUmph! Steve Hargis finds the course challenges a great motivation to stay in shape and keep his fitness level up. “You get better and better at it, every time,” he says. The first time the couple visited they could only get to course 3. Then Steve made it all the way through the second visit, while Jennifer only felt ready for course 4 and 5 after six trips to the nature park. “I just said, ‘You know what, I’m going to look at the obstacles, and I’m going to accomplish this today,’” she says of proudly ringing a bell at the end of the final Tarzan rope challenge. Park guide Mary Moora ensures that all the climbers are safe and sound. She says less than half of the climbers get through courses 4 and 5 because those are the greatest physical and mental challenges. At all times there are 10 to 14 guides on the ground ready to help anyone who has difficulty moving on. Guides have standard first aid and CPR certification, and the training to be able to handle every situation, give advice or help climbers descend if needed, Moora says. Treeumph! 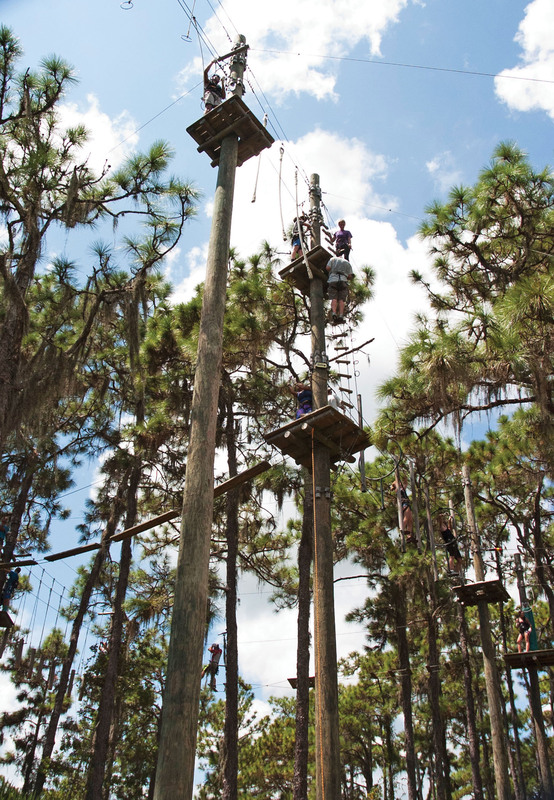 welcomed its first climbers in January 2013 and is planning to open a second location in Hernando County in late 2016. The idea of Treeumph! 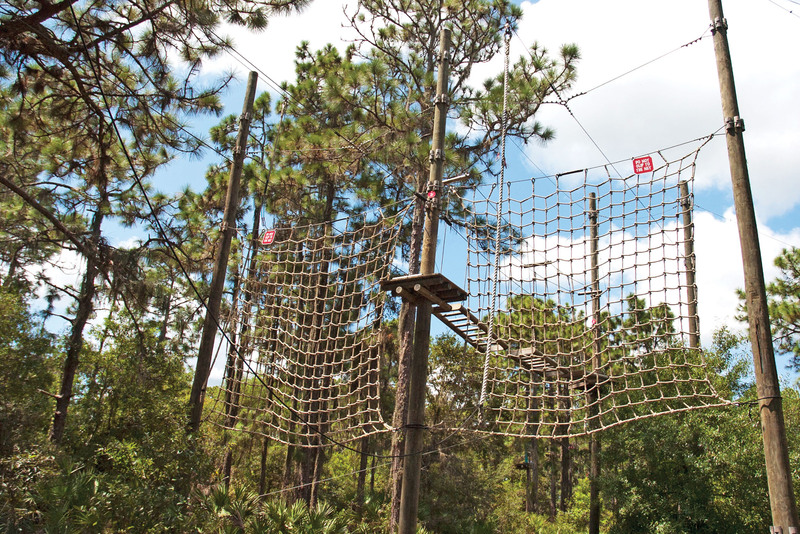 Adventure Course was originated in Europe, where it was a popular outdoor activity in France and Germany. Zip-lining, in fact, has been in use for centuries to deliver supplies and mail in remote mountainous regions. When the concept first crossed the Atlantic, it landed in Canada, then in 2007 in upstate New York as the first U.S. aerial adventure park. Written by Klaudia Balogh, an editorial assistant for TOTI Media. 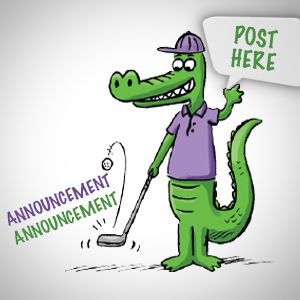 Dress in comfortable outdoor clothing, closed-toe shoes and no dangling jewelry. Children, junior, adult and senior ticket options. Excellent family and office team-building activity. 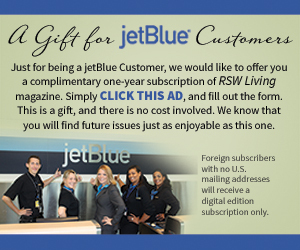 Local Living, Travel featured Mary Moora Steve and Jennifer Hargis TreeUmph!